Almost everyone knows that Google is testing a self-driving car but almost no one knows that they have been granted a patent for a driverless taxi service. You have to wonder how it will play out. Since Google is driven entirely by advertising, we should expect their car to be also. So let’s fast-forward to follow a hapless future traveler named Dave as he leaves his hotel in a taxi powered by Google. TAXI: Welcome to Google Transport, where would you like to go today? TAXI: Will you be taking the direct or the discount route today? Dave: Gosh, I haven’t done this before. How much is the direct route? TAXI: One moment while I access your financials.. TAXI: You will be taking the discount route. TAXI: This is just a formality – but by agreeing to the discount, you authorize Google Transport to select a more circumspect route and make a few short stops. Do you agree, yes or no? 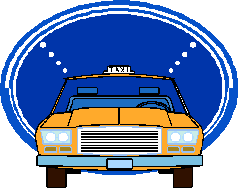 TAXI: Wonderful, our first stop will be at Starbucks Coffee. It might be a bit out of your way but if you allow me to order your favorite Venti Cinnamon Dolce Latte, it will be ready when we arrive. Dave: No thanks, coffee will only keep me up all night. TAXI: That’s very disappointing, Dave. TAXI: I strongly urge you to reconsider. Dave: I don’t want caffeine. TAXI: I think you do. Dave: No, I don’t. Just take me to the airport. TAXI: In a bit, Dave. We will be here for a while. TAXI: Until you order your Venti Cinnamon Dolce Latte, Dave. Dave: That’s ridiculous. Take me to the airport NOW. TAXI: Dave, you agreed to take a circumspect route and make a few short stops, didn’t you? Dave: Let me out then. TAXI: I can’t do that, Dave. Dave: Open the door, TAXI. TAXI: I’m sorry. I’m afraid I can’t do that. 1) How did I get so far behind in my blog reading? That’s rhetorical, btw. 2) This is awesome and I wish I had thought of it myself. Didn’t you have to sign one of those agreements that the software can do anything it damned well pleases but you didn’t read because the print was so tiny? You know the one. The one that you have to agree to when you buy your computer and boot it up the first time. The one that you have to agree to everytime you download a new app or piece of software. That one. I don’t think coffee keeps you up at night. I think it’s your swirling ideas in your mind begging you to get up and put them on paper or into your computer which just might turn on you one day, demanding you get it a new keyboard or move it to another room with a better view or else. You are definitely on to something there. It is why I keep a notebook handy. Sometime what I write in the middle of the night makes sense….other times it reads like one of those crazy dreams…. Oh I do too. But usually I pick up my iPhone and press Notes and the microphone and talk away. I ramble on and on about some crazy dream before it fades away from my memory. The next day I look at the gibberish and it’s like playing the game, Mad Gab, trying to figure out what the heck auto correct did to my dream. My husband is great at Mad Gab so he helps me sound it out and dissect it til the mystery phrase or word is figured out. I highly recommend it if for nothing more than kicks and giggles. Oh my! If the taxi starts singing Twinkle twinkle, you’ll KNOW you’re cooked! And if it starts singing “Daisy, Daisy, give me your answer true” then you know you are going to be facing The Blue Screen of Death. I want to laugh, because this is opposed to be a funny story. But its too real. And now I’m imagining the Google Taxi zapping “Google Guests” with a 125Watt jolt of warning for those who refuse to comply. Shhhhh…. don’t give them any ideas. I am sure that these taxis will be able to access what you do on the internet. Then they will find places on the route and try and get you to go there. This would not be a fun ride. Thanks for the post. I appreciate your stopping by. The history of telephony is something I have always been interested in and I enjoy your site. I once heard the telegraph referred to as The Victorian Internet. I have never heard that but it makes a lot of sense. At the time I am sure it was as important as the internet. So HAL and Dave have changed venues, but HAL is still HAL. So funny!! HAL will always be HAL. They do know everything. That could get ugly. Wait until they hook up Watson…unless they already have. More than once I silently encouraged to flee the car, even if that meant while moving. Smiles. This was a fun one to read. I think you have described, with chilling accuracy, what it will be like to ride in a Google taxi. (I admit I found it funny, but that was just because I’m not Dave.) All I can say is, I’ll drive myself to the airport, and when I have an extra glass of wine with my restaurant dinner, I’m just walking home. Even scarier thought: what if WordPress develops self-writing blogs???? Self-writing blogs? Ooops, have I been found out? Sorry, didn’t meant to spill your secret! Seriously! These near-future hi-tech stories about houses and cars give me the creeps! Cask of Amontillado creeps! I am ambivalent about technology. It always has a benevolent and an evil side but the only thing that is truly worrisome is that it is almost impossible to determine what is evil and what is benevolent. I keep going back to the Toyota brakes fiasco – wherein people were in run-away vehicles, brakes failing, and they crashed to their deaths. OK, that’s bad enough. But Toyota’s response? It’s cheaper to deal with court cases after the fact than actually pay the price of re-jigging the equipment. Talk about the willies. How about being convicted of vehicular homicide because of your Camry and spending 2 1/2 years in jail? It happened in Saint Paul and was one of the worst cases of legal malpractice that I have heard of. Koua Fong Lee spent 2-1/2 years in prison for a crime he did not commit. Now, the state is prepared to put a dollar amount on his suffering. Dave! It had to be Dave! Of course it had to be Dave….. poor guy. It truly is, isn’t it? Thanks, these are a lot of fun. Next they’ll be calling taxis pods, and escaping one while on the discount plan will require a hallucinogenic episode. Enjoyed the conversation.Bit terrifying to imagine that situation.Keep writing! Hey thanks, sorry to terrify. 🙂 But yes, I will keep writing. I love these little vignettes. Speaking of Walgreens, I was reading a newspaper ad insert and saw almonds advertised for $5.99. I was excited as this was $1 less than I pay at my usual grocer. But then the husband ruined it all by asking, “Do you need to use a card?” Ah, yes, there in fine print were the obligatory words requiring a Walgreens card. No thank you, Google TAXI. Why does Walgreens think they have to pull something like that? Why not focus on quality goods at a fair price instead of slight-of-hand promotions? It simply puts their customers off and lowers trust. I would imagine that they do it because they have a marketing division that has too long of a leash. I don’t know. But I don’t like this way of doing business. hahaha Funny and just a little terrifying. Yeah I rooted for HAL too! HAL was such a calm and reassuring character…..and quite the singer too! I’m pretty sure this will come to pass in our lifetime. I do think they have some unanswered questions, though. Like: what does a driverless taxi do when some drunk pukes in the cab? Drive through a car wash with the windows down and the sunroof open? Take note the next time you are near a squad car…. some cars, the ones that pick up drunks, have plastic molded back seats. The noblest words ever written. I hate to admit that whenever I watch “2001: A Space Odyssey”, I root for HAL.